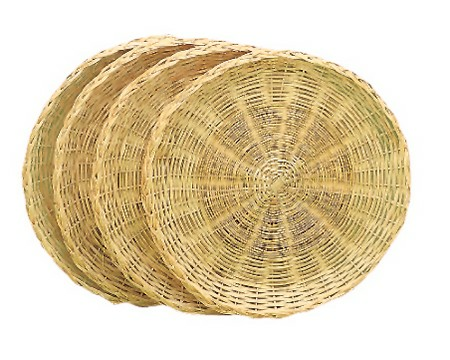 Support flimsy paper plates with these natural rattan plate holders. Each set comes with four plate holders. Measures 10" dia. - holds 9" plates. Microwave safe.